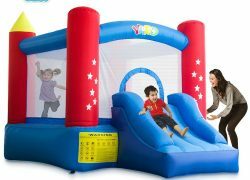 Size: 21.3×9.2×7.9ft; Bouncing area: 10.8×9.2×7.9ft; High quality made of strong PVC tarpaulin for bouncing foor,slide surface etc. 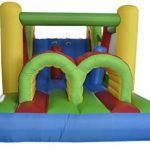 The ObstacleCourse from a fun inflatable combo bounce house with many fun features. 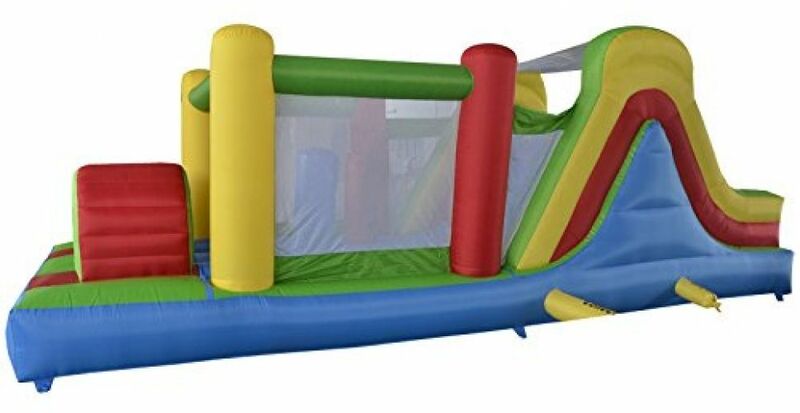 This large bouncer measures 21.3’length, 9.2’width and 7.9’heightwhen inflated, and has a capacity of 5-6children (maximum 100 pounds each, 550pounds total).Ideal for a birthday party, family reunion, or for any occasion to keep the kids entertained as they bounce around in the moonwalk. 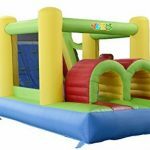 This combo bounce house featuresa big slide,a climbing wall, a bouncing area and tunnel entrance to keep kids busy for hours. 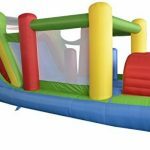 High quality material and made by commercial grade sewing meet requirements of rental at some degree,although it is a residential bounce house. 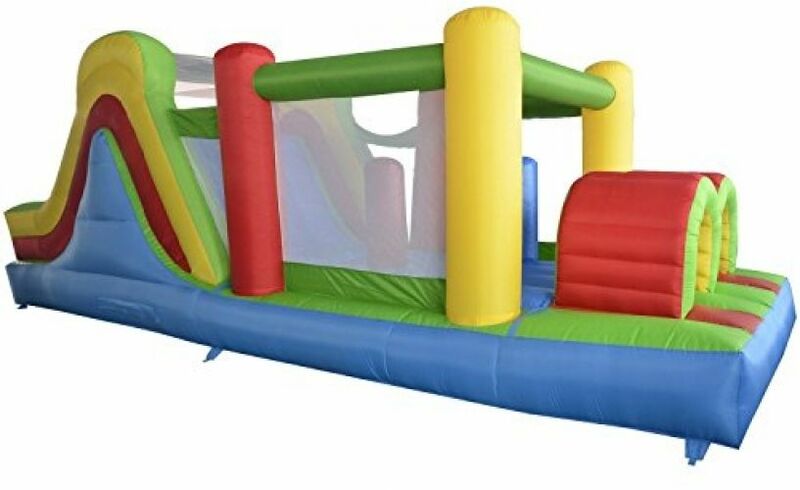 Compared with heavy commercial bouncer, women and kids can move it everywhere freely. 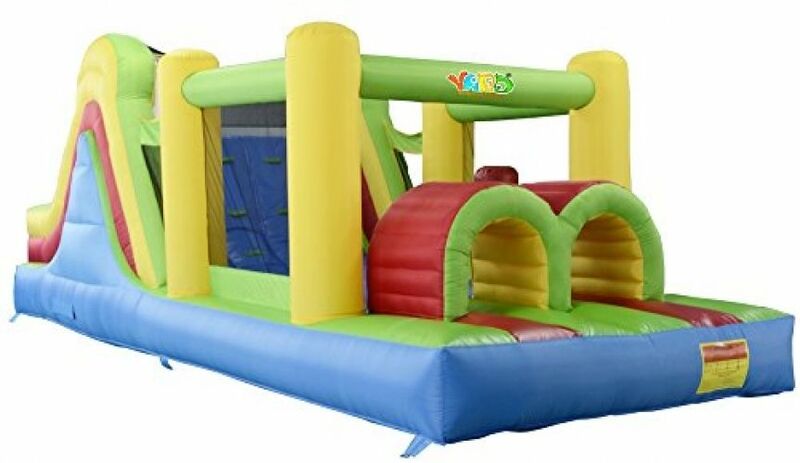 Safety designs to protect kids to play happily under easy supervision under parents;environmentally friendly material merge with our beautiful world,bringing one color childhood for kids. 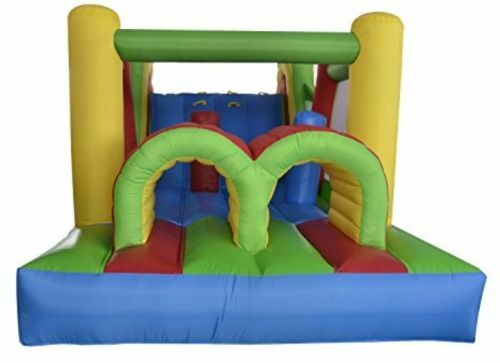 Multi-functioncovering big slide, bouncing area, climbing wall, obstacle course and tunnel. 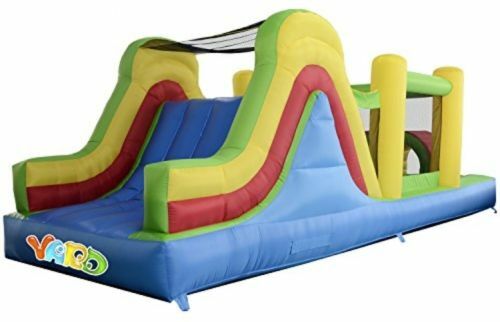 Large Slide and HugePlay Area for extra playing area(10.8x 9.2feet)and providing large enough space to accommodate 5-6children under total 550 pounds. 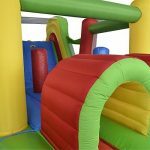 Climbing wall, obstacle course and tunnelsproviding kids and families varieties of entertainments and bonding time together.Giving a chance of challenge. 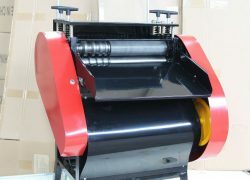 Easy installation and quick setup with heavy duty grade blower. Easy to pack and move easily by customized carrying bag. 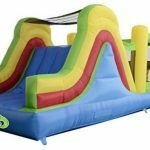 Using 420D Nylon and 14 – 16 oz. 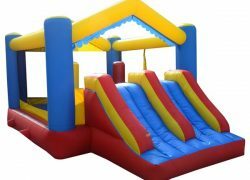 Vinyl, commercial grade bounce floor and slide for ultimate durability. 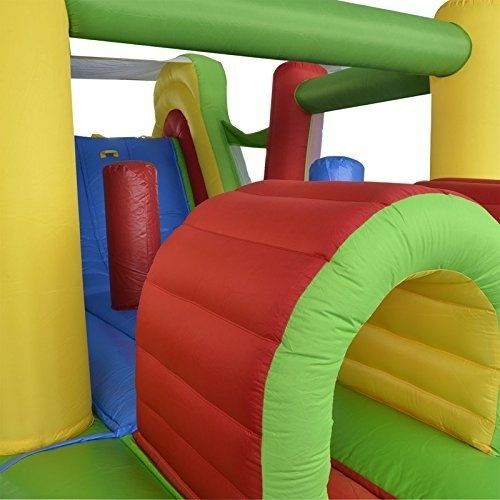 MaterialcomplywithASTMandEN71toysafetystandards,environmental-friendlyandsafetyforkids,high quality and rarer material in market. 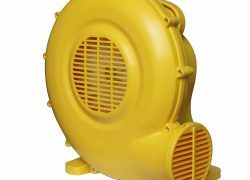 Powerful blower with CE&UL certificate and correct plug. 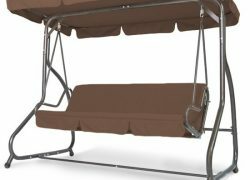 Designed with safety features and comply with manufacturing laws. 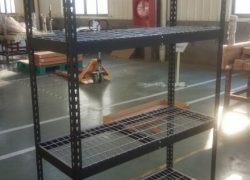 High quality mesh with small holes forkidssafety. 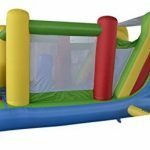 Long fill tube for placing blower away from the bouncer. Anchoror D-rings to keep stability and safety. 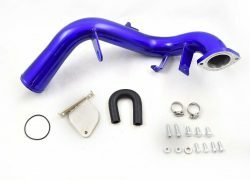 Manual including Information of using for bouncer and blower. Warning label showing many notices and specifications for safety.